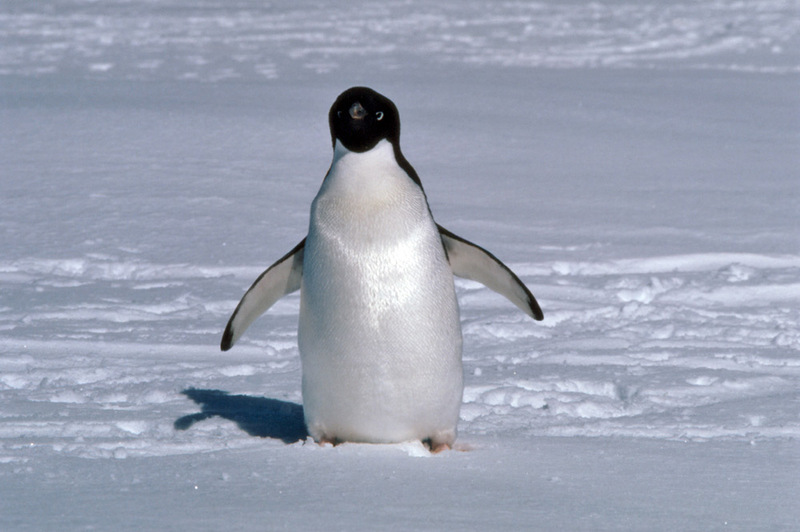 Adelie penguins weigh about 5kg and are around 70cm tall. They winter on the pack ice where the air temperature is higher than on land and where they can find cracks in the ice to fish through. In October, they begin to move south to their breeding grounds, the males arriving first to establish territories and nest spaces with the females arriving shortly afterwards. This is one of the first males arriving back in the spring before the remainder of the sea-ice has broken away.